You’re an action sports enthusiast ? Big part of your life is made of adrenalin and outdoor sports ? Prove it ! We are looking for possible brand ambassador. 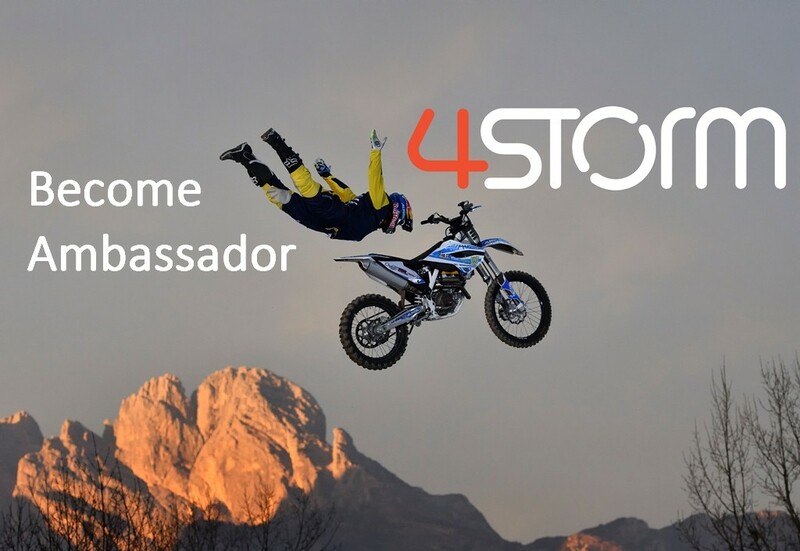 You can apply for it by sending us an e-mail to info@4-storm.com with some pictures or a video and a sport cv. What are you waiting for? Join us now!